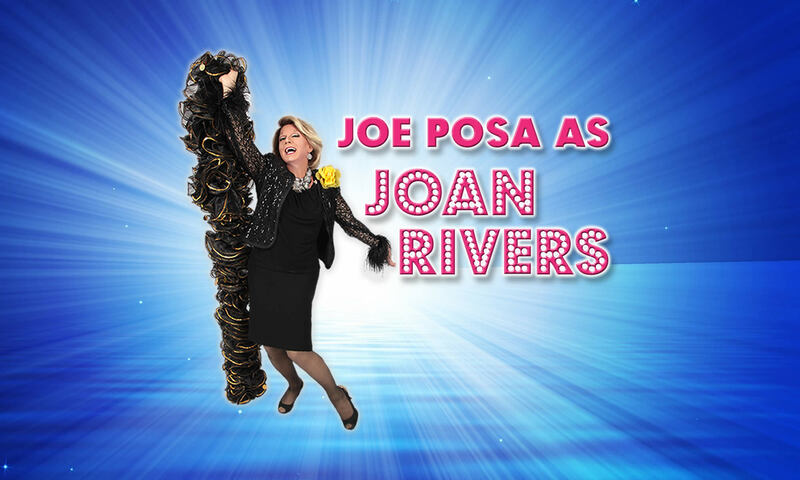 In this nationally acclaimed performance, Joe Posa, Joan River’s favorite Joan Impersonator, is keeping her comedy alive in recreating the comic genius of Ms. Rivers gut busting stand-up comedy routine. You will not want to miss this show. Joe Posa truly becomes Joan Rivers on stage, with the look, mannerisms, cadence and the subtleties that made Joan Rivers unique and powerful. 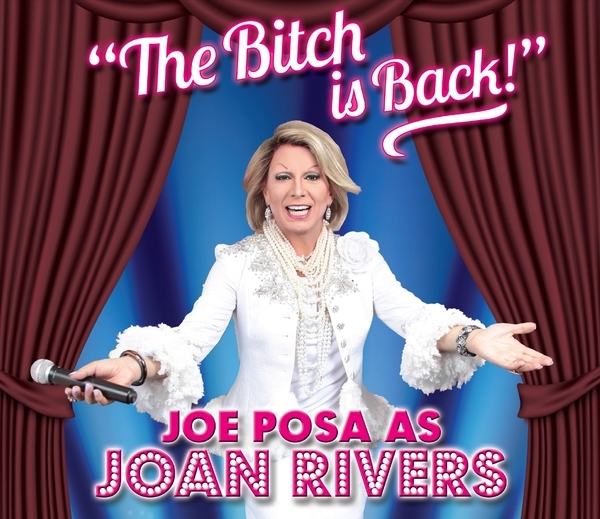 Copyright © 2019 Joe Posa as Joan Rivers. All rights reserved.